Sony Pictures Entertainment hack: Should software makers be held liable? Should software-makers be held liable for the Sony hack? 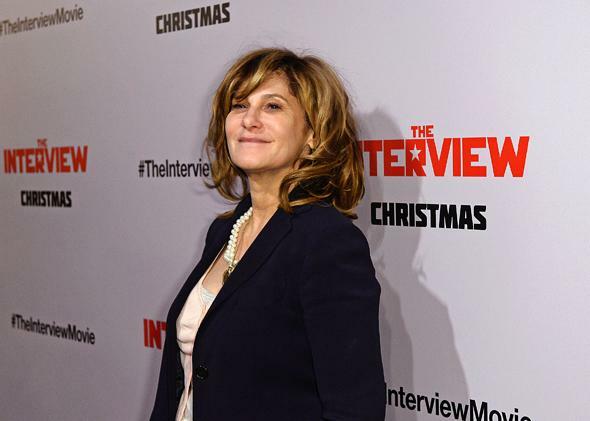 Sony Pictures Entertainment Co-Chair Amy Pascal poses during the premiere of The Interview in Los Angeles on Dec. 11, 2014. When your private communications are hacked, it can be tough to smile. One outcome of the Sony Pictures Entertainment network hack is certain: You can expect a blizzard of lawsuits from all kinds of parties claiming harm from the unauthorized disclosures of all kinds of material, from unreleased films to employee health records. But as Sony-related legal papers fly through the court system, one party—or rather, one collection of parties—seems likely to be relatively immune from any legal fallout: the software companies that provided the hackable product or products. I’m not talking about antivirus or other security software companies here. This is about everything we use in our computing and communications. The Sony hack, which may or may not have been engineered and/or funded by North Korea’s paranoid government, exposed lax security practices inside the company—it was “ripe for hacking,” said the Associated Press. More broadly, the attack demonstrated how easy it still is to penetrate modern software, Windows Server in this case, when companies leave doors open. This wasn’t a particularly sophisticated attack, by most accounts I’ve seen. It also came in the wake of a staggering array of other network intrusions that have exposed vast amounts of personal data of tens of millions of people in the U.S. and around the world. Companies like Target and Home Depot have suffered significant losses as a result, but as far as I can determine, the blame has fallen on corporate security practices and smart hackers, not the software companies these businesses have relied on. While there have been some lawsuits around these hacks, and occasional government penalties for sloppy security, apart from a tiny number of cases (examples here and here) that legal experts have pointed out to me, the big software companies seem to have been largely immune from responsibility. DISCLAIMER OF WARRANTIES. TO THE MAXIMUM EXTENT PERMITTED BY APPLICABLE LAW, MICROSOFT AND ITS SUPPLIERS PROVIDE TO YOU THE OS COMPONENTS, AND ANY (IF ANY) SUPPORT SERVICES RELATED TO THE OS COMPONENTS (“SUPPORT SERVICES”) AS IS AND WITH ALL FAULTS; AND MICROSOFT AND ITS SUPPLIERS HEREBY DISCLAIM WITH RESPECT TO THE OS COMPONENTS AND SUPPORT SERVICES ALL WARRANTIES AND CONDITIONS, WHETHER EXPRESS, IMPLIED, OR STATUTORY, INCLUDING, BUT NOT LIMITED TO, ANY (IF ANY) WARRANTIES OR CONDITIONS OF OR RELATED TO: TITLE, NON-INFRINGEMENT, MERCHANTABILITY, FITNESS FOR A PARTICULAR PURPOSE, LACK OF VIRUSES, ACCURACY OR COMPLETENESS OF RESPONSES, RESULTS, LACK OF NEGLIGENCE OR LACK OF WORKMANLIKE EFFORT, QUIET ENJOYMENT, QUIET POSSESSION, AND CORRESPONDENCE TO DESCRIPTION. THE ENTIRE RISK ARISING OUT OF USE OR PERFORMANCE OF THE OPERATING SYSTEM COMPONENTS AND ANY SUPPORT SERVICES REMAINS WITH YOU. In other words, use our product entirely at your own risk. If you don’t like that, tough. In an era when software is at the heart of so much of what we do, this seems a bit absurd. What if General Motors and every other auto manufacturer made you agree to language like that when you bought a car? Do you think the highways would be safer? Which raises a question that comes up from time to time: Should the software industry be required to take more legal responsibility for making its products safe? On one level this feels long overdue: an end to the legal free ride. On another, however, it’s problematic if not outright impossible. First, software is code: programming instructions. Code has bugs and flaws—always has and always will. Code is complicated, a perpetual work in progress. It’s never “done” in any traditional sense of the word. It’s complex enough on a single general-purpose device like a PC, phone, or tablet, each of which requires an operating system—a collection of programs and modules working together to provide all kinds of useful functionality for a PC or phone or other device. A PC application or mobile app lives in the operating system environment, calling on various functions so it can do its own relatively specialized task or tasks. The individual components have flaws, and their interaction can introduce unexpected ones. So what can we do? In a deeply reported New Republic series on software liability last year, Jane Chong called for much tighter rules governing software security. “To put it simply, the laws on the books must change—or the quality of our software will not,” she wrote. New legal policy would be difficult to put into practical use, not to mention its wide-ranging ramifications for a free and open Internet. Yet how can we just let the industry get away with selling products riddled with vulnerabilities? The consequences we know about—incessant exploits and the reality that our data live in a Wild West where just about anything goes—are grim enough to at least ask the question. And the consequences are even grimmer when we realize that reprogrammable software is becoming an increasingly significant component of more and more of what we buy and use every day. Your car is a computer network on wheels. An airplane is a network that flies. Soon enough, given our race to create an Internet of Things—a world where almost every object has intelligence, memory, and a connection to other things and us—the complexity will reach staggering levels. We are not even close to ready for this from a security and privacy standpoint. Are we going to let the software industry’s caveat emptor standard, however realistic and perhaps unavoidable, infect everything else we touch? Would that be better, or worse, for society and the economy? Maybe the marketplace would solve it, but call me skeptical on that one. I don’t have a good answer to these questions. But we’d better start taking all of this more seriously. At the very least, as Schneier observes, we increasingly have to put some trust in third parties—and do our best to secure what we can. But we can’t assume anything we say or do in a digital world is safe—which means we have to be a lot more careful about what we say and do, not just where we send and store it. You can be sure that senior executives at Sony Pictures Entertainment, which apparently had a fat budget for executive salaries and a thin one for information security, are wishing they’d heeded that advice a long time ago.